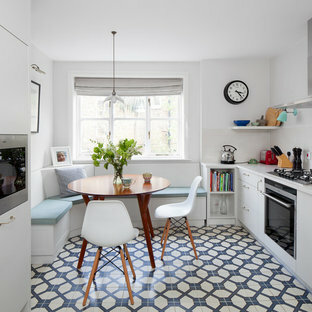 This is an example of a small contemporary galley kitchen/diner in London with flat-panel cabinets, white cabinets, ceramic flooring and no island. 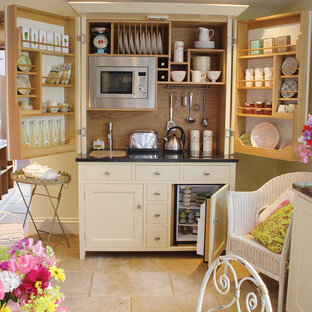 The Complete Kitchenette is a stylish and compact piece of free standing kitchen furniture. This bespoke free standing cupboard is an inspiring solution for homes, apartments, studios, offices etc. Made in natural oak and hand painted. 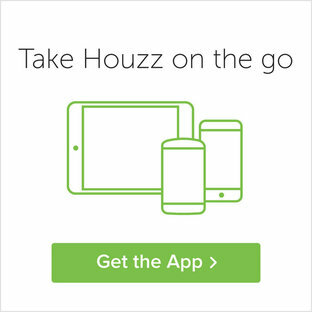 Including integrated sink, taps, microwave, fridge, induction hob and granite. 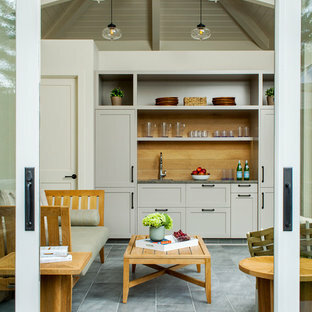 Design ideas for a classic swimming pool in Boston with a pool house. 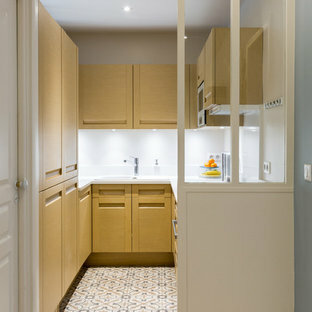 Design ideas for a small scandinavian u-shaped enclosed kitchen in Paris with a built-in sink, light wood cabinets, white splashback, integrated appliances and no island. 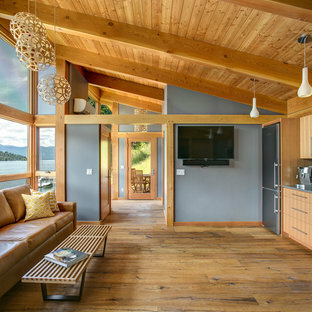 Photo of a medium sized rustic formal open plan living room in Seattle with grey walls, medium hardwood flooring, no fireplace, a wall mounted tv and brown floors. 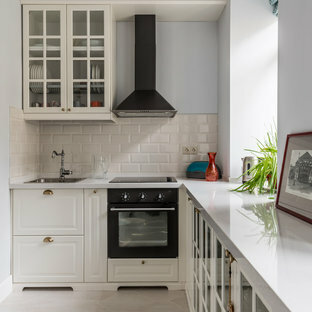 This is an example of a small classic single-wall enclosed kitchen in Moscow with a built-in sink, raised-panel cabinets, white cabinets, beige splashback, metro tiled splashback, black appliances and no island. 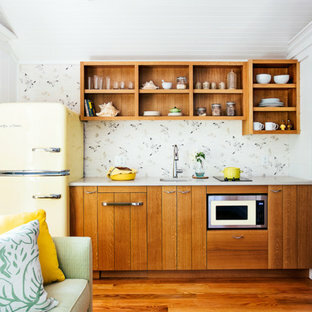 Small coastal single-wall open plan kitchen in Portland Maine with a submerged sink, medium wood cabinets, coloured appliances, medium hardwood flooring, white worktops, open cabinets and no island. 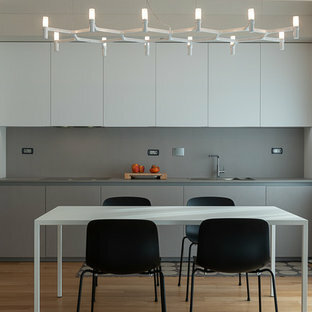 Photo of a contemporary l-shaped kitchen/diner in Turin with a built-in sink, flat-panel cabinets, grey cabinets, grey splashback, stone slab splashback, integrated appliances, light hardwood flooring, no island, beige floors and grey worktops. 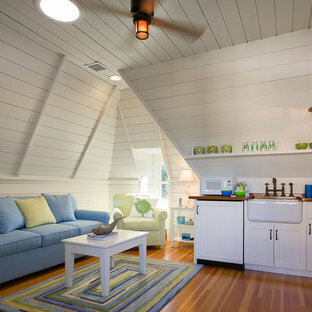 Inspiration for a beach style family and games room in Providence with white walls and medium hardwood flooring. Inspiration for a small modern open plan living room in Bridgeport with a home bar, white walls, dark hardwood flooring and a concealed tv. Inspiration for a medium sized classic single-wall wet bar in Atlanta with glass-front cabinets, dark wood cabinets, beige splashback and mosaic tiled splashback. Inspiration for a small scandinavian master bedroom in New York with white walls, light hardwood flooring, no fireplace and brown floors. Inspiration for a small contemporary single-wall kitchen/diner in Minneapolis with a single-bowl sink, flat-panel cabinets, blue cabinets, dark hardwood flooring, no island and concrete worktops. Photo of a small contemporary l-shaped open plan kitchen in Moscow with flat-panel cabinets, black cabinets, wood worktops, black splashback, multi-coloured floors, stainless steel appliances, no island and brown worktops. This is an example of an industrial l-shaped open plan kitchen in Moscow with a built-in sink, recessed-panel cabinets, black cabinets, multi-coloured splashback and no island. Photo of a small eclectic single-wall kitchen in Chicago with a built-in sink, recessed-panel cabinets, medium wood cabinets, white splashback, stainless steel appliances and no island. This is an example of a classic family and games room in Austin with green walls. Small traditional single-wall kitchen in Nashville with a single-bowl sink, open cabinets, white cabinets, white splashback, metro tiled splashback, stainless steel appliances and multi-coloured floors.